You may not know it, but Ford is in the public transit business. And it has just entered the market in one of the busiest transit cities in America - New York City. 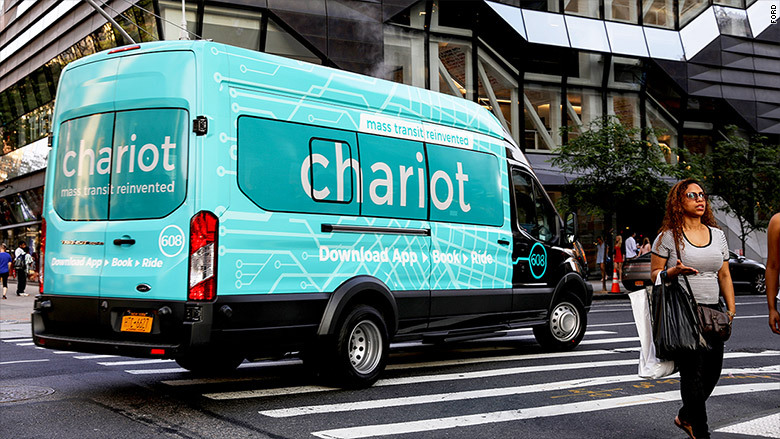 Chariot, a subsidiary of Ford (F), is a shuttle service that allows passengers to crowdsource routes and reserve rides in 14-seat vans via their smartphone. Chariot began in San Francisco in 2014 as a private shuttle startup to give Bay Area commuters affordable commuting options outside its crowded public transportation network. After hearing about the interesting use of its vans, Ford decided to buy Chariot in a deal that was completed last September. The shuttle service is now expanding to New York City. To start, Chariot is offering two routes, one on the east side of Manhattan and one in Brooklyn. Meanwhile, other potential New York users will tell Chariot where they would like to travel to and from. As the votes come in, Chariot will build new van routes to serve as many people as possible. Chariot's concept isn't totally new. 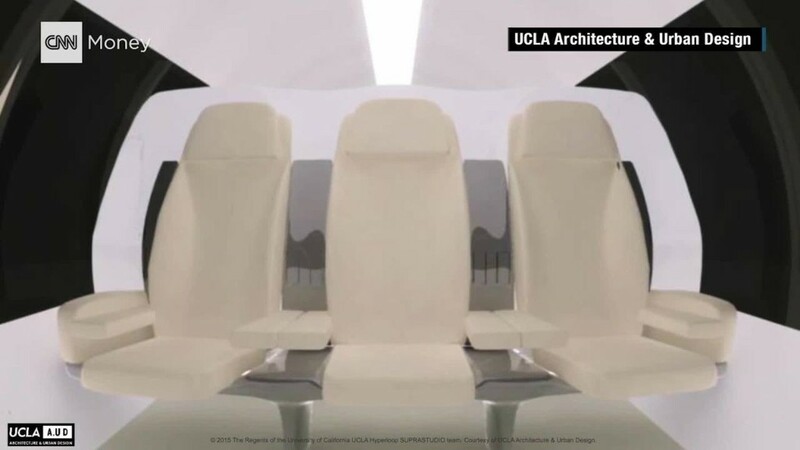 The basic idea was informed by private van services that operate as ad hoc public transportation in many countries as well as communities in America, including New York. Chariot operates like a regular bus service, except that seats are reserved. The vans are operated by professional drivers and Chariot commuters reserve their seat using a smart phone app. All the vans are GPS-tracked so customers known when their ride will arrive. Passengers gather at pre-selected points to be picked up and are, likewise, dropped off at locations that provide the greatest convenience to the most passengers. Chariot vans like this one will soon be driving all around New York City. Riders can select which van they want based on its estimated time of arrival at the nearest stop. (They should arrive every few minutes at each stop.) As they enter the van, they show a "boarding pass" on their smart phone to the driver as a way of confirming their reservation. Chariot executives, by the way, do not refer to these conveyances as "vans." They insist on referring to them only as "Chariots." We have decided to call them vans because, well, they're vans. Each ride in New York City will cost $4, compared to $2.75 for subway or bus fare. As with other public transportation, the service can be paid for using employer transportation benefits. Each van will have free WiFi. Riders will not be allowed to make voice calls while riding but food and drinks are OK. 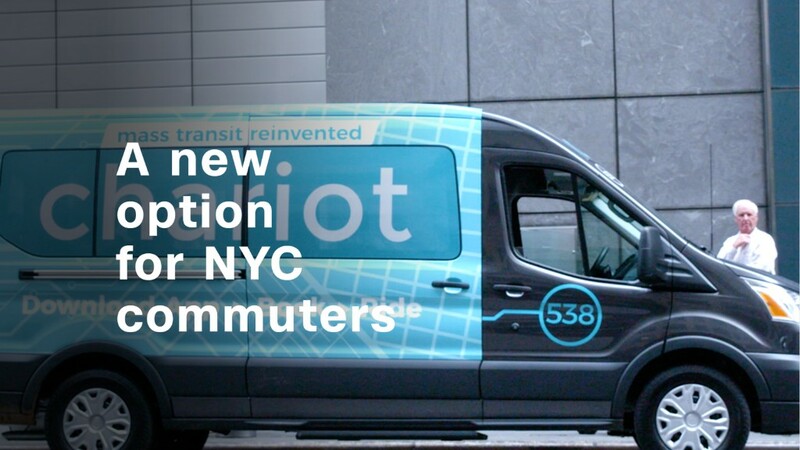 Even though New York City is loaded with transportation options -- subways, buses, taxicabs and ferries, among others -- there's still a need for something like Chariot, said the service's chief executive Ali Vahabzadeh. "Chariot augments the mass transit system," said Vahabzadeh. "It's not trying to replace it." While New York City's central borough of Manhattan is well served by a web of Subway lines, service can be more sparse in the city's other four boroughs. Chariot can be an ideal service to fill in gaps between subway and bus lines, particularly in so-called "transportation deserts," where mass transit doesn't quite reach, said Vahabzadeh. Chariot's introduction to New York comes as the city's subway system, used by about 6 million people each day, suffers a series of delays, derailments and other slowdowns due to overcrowding and aging equipment. New York will be the fourth city in which Chariot operates. Besides San Francisco, Chariot also operates in Seattle and Austin. Correction: An earlier version of this story cited an incorrect price for a New York City subway ride.